Technology developed in the Sheikh Zayed Institute for Pediatric Surgical Innovation at Children’s National has been named one of the 12 Most Important Health Innovations of the Year in the November/December 2016 issue of Popular Science. 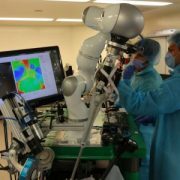 Smart Tissue Autonomous Robot (STAR), a technology that performed the first supervised, autonomous robotic soft tissue surgery on a live subject (in vivo) this year, has been awarded a 2016 Popular Science Best of What’s New Award in the Health category. 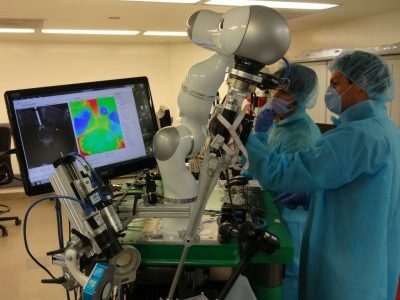 STAR removes the surgeon’s hands from the procedure, instead utilizing the surgeon as supervisor, with soft tissue suturing autonomously planned and performed by the STAR robotic system. The system integrates near infrared florescent (NIRF) markers and 3-D plenoptic vision to provide uninhibited tracking of tissue motion. This tracking is combined with an intelligent algorithm that autonomously adjusts the surgical plan in real time as tissue movements occur. Each year, the editors of Popular Science review thousands of products in search of the top 100 tech innovations of the year—breakthrough products and technologies that represent a significant leap in their categories.